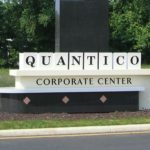 STAFFORD, Virginia — The Quantico Corporate Center has become one of the Washington D.C.-area’s most coveted business addresses, and four campus parcels will be sold at auction Friday, April 20. Nicholls Auction Marketing Group will conduct the auction. 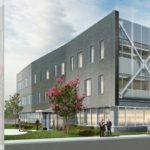 The campus is located just off Interstate 95 and U.S. Highway 1, next to the U.S. Marine Corps Base in Quantico and 45 minutes or less from major federal agencies throughout the D.C. area. It is home to such organizations as BAE Systems, General Dynamics, Marine Corps Systems Command, SAIC, Vencore and others. “The strategic location, combined with the advanced security network and technology support, makes the QCC a prime location for defense contractors, software companies, government agencies, data centers, research facilities and other types of tenants that require advanced secure data support and access to our nation’s capital,” said Kelly Strauss, who is managing the auction for Nicholls. 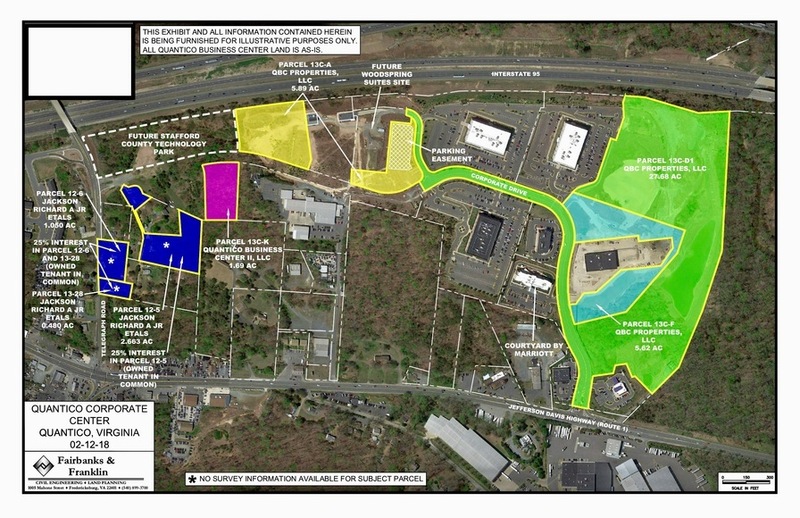 Parcels are 1.69 acres, 5.89 acres, 5.62 acres and 27.68 acres. Each parcel will be offered individually, followed by bids on any combination of parcels, including the entirety. They will sell in the combination that brings the highest price. The auction will begin at 11 a.m. Friday, April 20 at the Courtyard by Marriott Stafford Quantico, 375 Corporate Drive, Stafford. Bidders who can’t attend in person may bid online by prior arrangement. Individuals seeking additional information may visit www.nichollsauction.com or call 540-226-1279. Nicholls Auction Marketing Group, Inc., based in Fredericksburg, Virginia, is a professional accelerated marketing firm specializing in the promotion and sale of real estate via the auction method of marketing. The firm has been serving the needs of the Mid-Atlantic region since 1968. The Nicholls team includes world and state champion auctioneers, an award-winning marketing staff, and sales percentages unmatched in the industry.